As part of the Kyoto Fair in Japan Centre, we are very pleased to bring you special Kyoto wagyu beef flown especially in for this event. Kyoto Miyabi Wagyu is an intensive flavoured premium beef produced by Kyoto Prefecture at selected farms, which mainly produce high quality meat for Michelin starred restaurants. It also received the top awards at the National Wagyu Beef Competition in 2014, where Kobe Wagyu Beef and Omi Wagyu Beef were also nominated in the same competition. 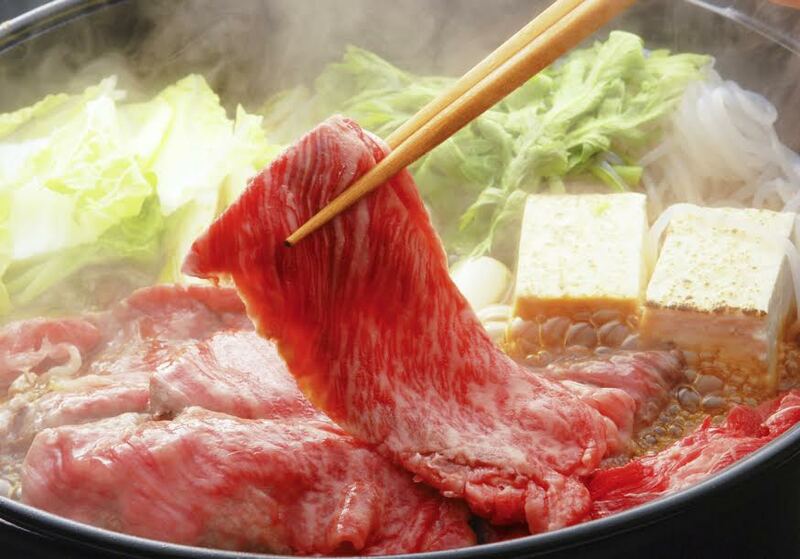 Mr Niwano from Kyoto, a specialist in Wagyu Beef will be at Japan Centre at the following times for Kyoto Miyabi Wagyu sukiyaki sampling and will be on hand to answer any questions you have on everything wagyu! Don’t miss out on this rare and special opportunity to taste Kyoto Wagyu at Japan Centre. Kyoto Miyabi Wagyu will be also be available to purchase at Japan Centre from Wednesday 7 October while stock lasts.